You don’t drink and drive, clearly. There’s a reason you’re not supposed to operate ‘heavy machinery’ while intoxicated. Well, it turns out that you shouldn’t use a sewing machine after drinking half a bottle of bubbly. I learnt this the hard way. As a public service announcement, here’s why you should not drink and sew! I was whipping up a library bag for my biggest lad’s first day at Kindy. I needed to cut two rectangles. Easy, right? Turns out it is a legitimate challenge after guzzling half a bottle of sparkling wine. It’s tricky enough threading the tiny eye of the needle on a sewing machine. When your eyes won’t focus on that tiny hole, it becomes impossible. Blurred vision is a sure sign that you should step away from the machine. Yet I carried on. If you dare to drink and sew, you’ll some how manage to pin yourself while trying to pin your fabric together. Worse, you just about clip yourself while cutting the threads. Booze makes you clumsy. This means you drop things, like pins. Then you can’t find them, because your vision is blurred and your eyes refuse to focus (see point 2). You then become paranoid about the lost pin and someone (likely a small person) treading on it. At some point you’ll drunkenly declare that sewing while tipsy was a bloody stupid idea and give up. Meaning that you don’t give your wonky shaped library bag its final press. This in turn means that you stumble off to bed leaving the iron on. At least you paid the extra cash for an iron that turns itself off. Here’s the evidence – don’t drink and sew! The moral of this story? 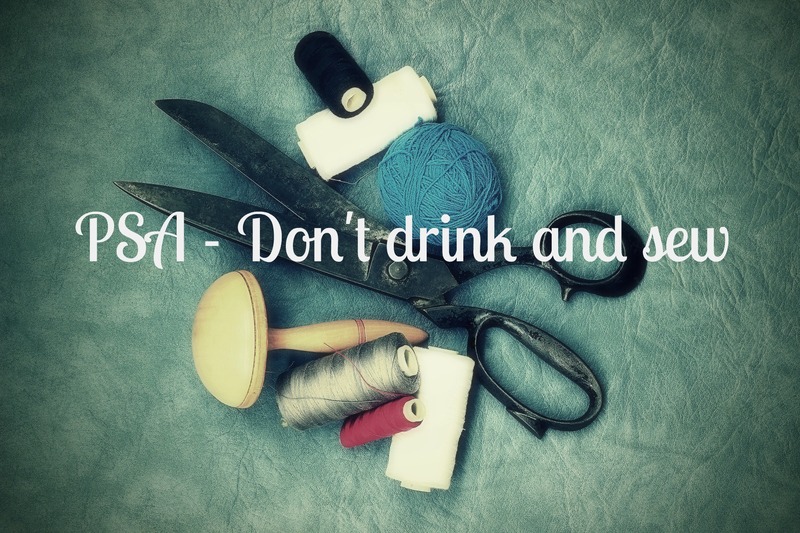 Do not drink and sew. Perhaps more precisely don’t drink too excess and sew. I am in fact partial to a gin and tonic while sewing, no harm in that. 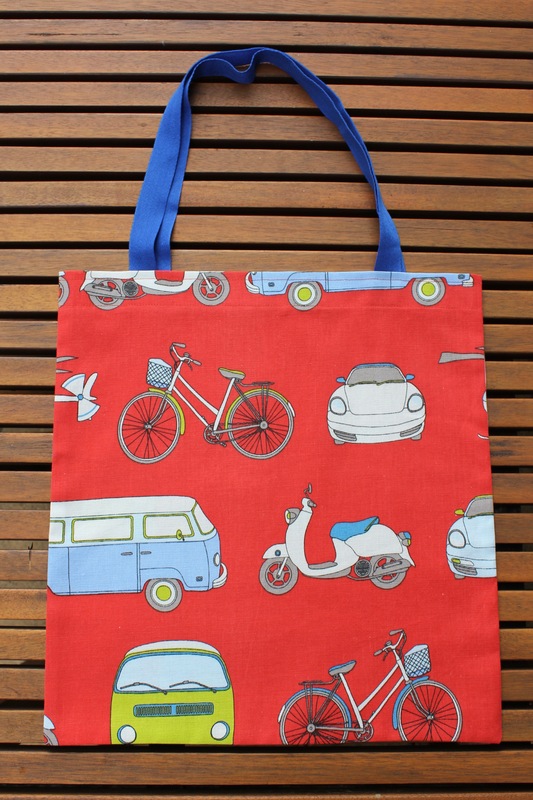 Do you have a tipple while sewing, or operating other heavy machinery, like the dishwasher? How’s it turn out for you? ← Say, what? 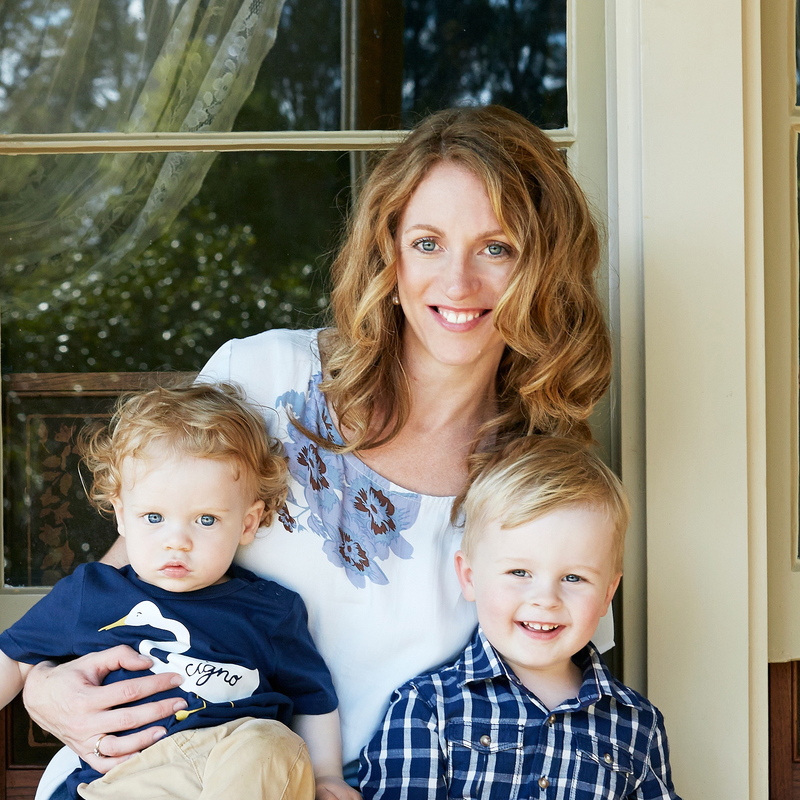 19 words totally jumbled by toddlers! You, sewing drunk, still see better than me sober. Great job! Amy, you are far too kind! Hahahaha perhaps you should have a breathalyzer attached to your sewing machine?! Now you might be on to something Rachel! Well sewing when you’ve had a few drinks does tend to make you a little less fussy about the details, which can often be a good thing! Geez I can barely cut straight sober! I’m not bad at sewing for someone who has barely ever done it, but all the attention to detail with cutting and ironing…too hard! The devil is in the detail, as they say Vanessa! Oh dude, you had me at sharp things! BAHHAHAHAHHA! That’s where I should have stopped Hugzilla! I can actually see the potential for great sewing, post drinking, but it’s a very fine line! That’s hilarious Claire. Mind you, you did an awesome job of the bag considering you’d downed half a bottle of wine! Meanwhile I have no such excuse for the mess I made of my microwave yesterday when I was trying to cook quinoa – turns out microwaves and I DON’T mix! Can I add overconfidence to the list? Me: one evening is the perfect amount of time to finish off two little girls’ dresses. Influence of half a bottle of red: but it would be so much more fun to start the new shorts. You can absolutely cut out the pieces, pin, sew and finish in one night having never made shorts before. Outcome: three projects languishing unfinished! I still think you’ve done a good job! Thank heavens the iron turned itself off! That could have been disastrous! You’re too kind Jess. It was indeed a wise move to get the self turning off iron!